A group of snow machiners survived a large avalanche in the Summit Lake area over the weekend. As KUAC’s Dan Bross reports, the slide occurred at the end of a day of riding in the popular snow machining area off the Richardson Highway. Slide debris field with marks where 2 caught snow machiners were deposited. A North Pole woman was killed in an avalanche near Summit Lake over the weekend. As KUAC’s Dan Bross reports, the death comes as thousands of Alaskans head to the area for the Arctic Man event. Members of a University of Alaska Fairbanks mountaineering class are recovering after being hit by an avalanche in the eastern Alaska Range. As KUAC’s Dan Bross reports, the incident has raised questions about the university taking students into the back country. 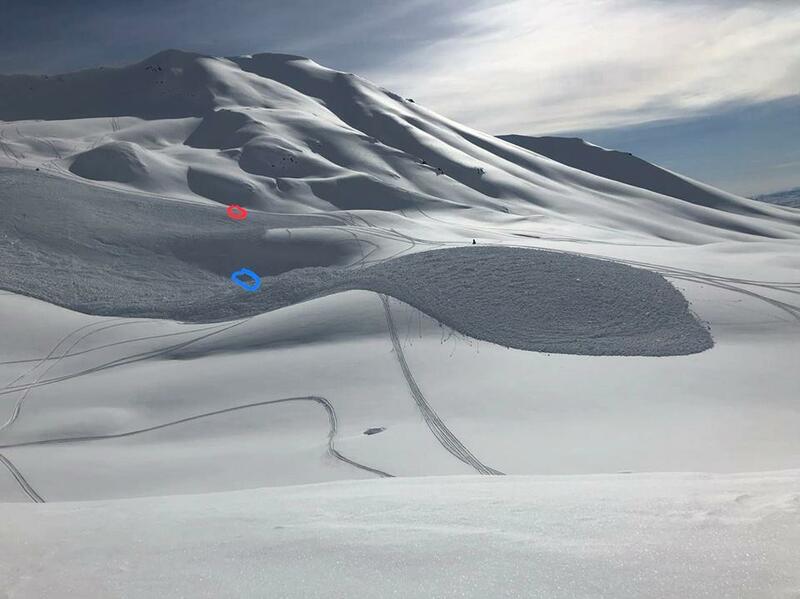 A report on a fatal avalanche near Cantwell last month says the victim and other snow machiners underestimated the snow slide potential. As KUAC’s Dan Bross reports, the expert review points to atypical terrain, and blames the deadly accident on failure to recognize a hazard, and insufficient safety gear. The survivor of the Dec. 6 avalanche at Rainbow Ridge returned to the site in the Eastern Alaska Range last week to recover the bodies of his friend and dog. Michael Hopper says he had to go, because Alaska State Troopers had ruled out a recovery mission until the danger of avalanche in the area subsided. That could’ve taken months.